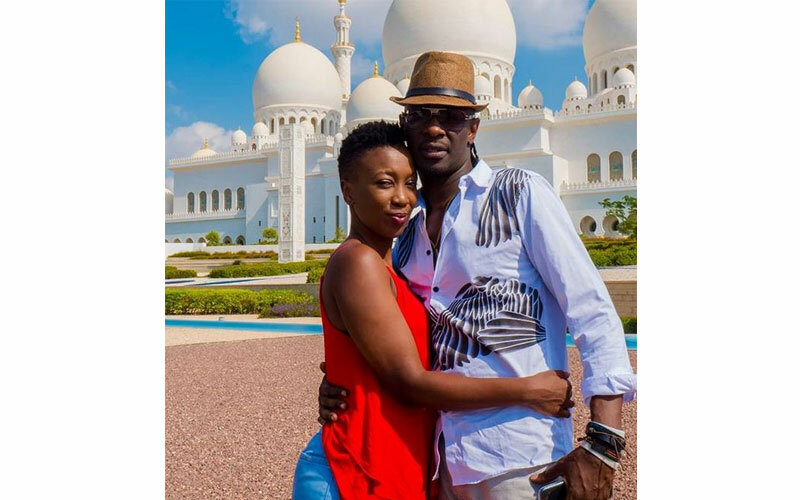 Sunday, April 14, 2019- Kenyan celebrity couple David Mathenge better known as Nameless and Wahu Kagwi have been married for over a decade and still going strong. Having dated for slightly over 8 years before exchanging vows, they have stayed together for two decades and are blessed with two beautiful girls. So, what is the secret for their lasting marriage? Well, speaking during an interview with a local radio station, the ‘Ninanoki’ hit-singer admitted that they have had their fair share of misunderstandings but they always resolved their issues before they could harm their marriage. “Understand you are different. We struggled a lot especially at the beginning of our marriage and to make matters worse, we got married and my wife got pregnant almost immediately. You can imagine the hormones and all,” he said. In a world where most marriages end before they even begin in earnest, Nameless and Wahu have restored the faith of many in marriage and they are fantastic roles models to many. The post Veteran Singer NAMELESS reveals secret to his successful marriage with singer WAHU appeared first on Kenya News Alerts.